In Oregon you can find a river with steelhead in it any day of the year. 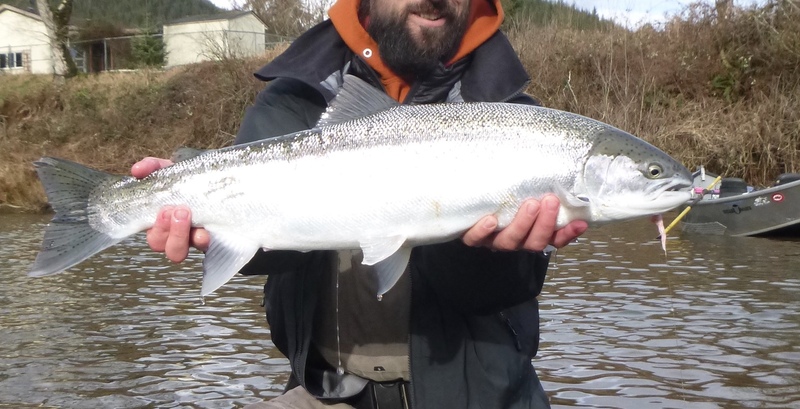 The Willamette and Mckenzie near Eugene have a summer steelhead run which can start fishing in late April, and fishes well into November, the Coastal streams start fishing in December into March. The Umpqua does more than just fill the gaps in between these seasons. I use all methods, from pulling plugs, dragging eggs, to fly fishing with single hand and spey rods. Centerpin fishing is one of my niches. It has been a common technique in the Great lakes, and is awesome for bead fishing in Alaska, It is a fun and effective way to cover water. I fish several streams throughout the winter depending on water levels, when one is blown out another will come into shape, so I don’t have a lot of down time, unless we are getting hammered with rain, and even the creeks are running like chocolate milk.